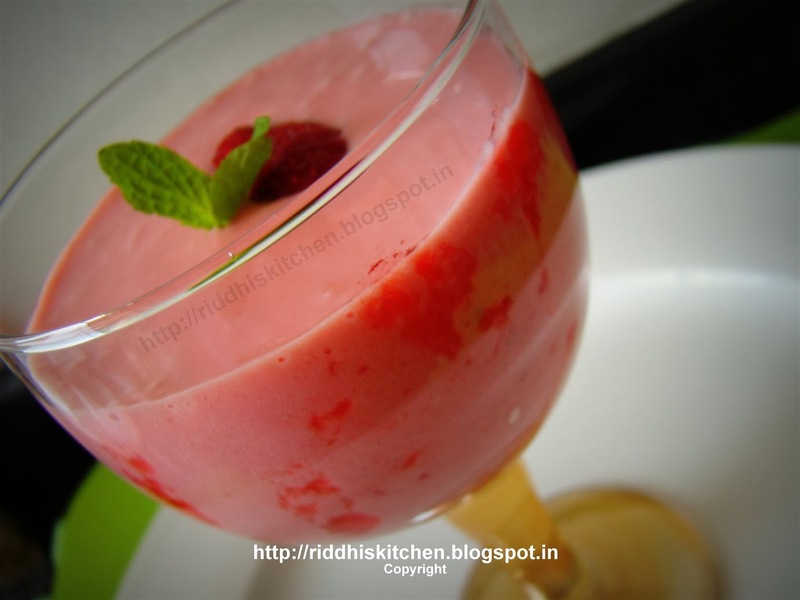 Take serving glass, pour 1 tablespoon strawberry crush. Pour strawberry milkshake. Garnish with fresh strawberry and mint spring.